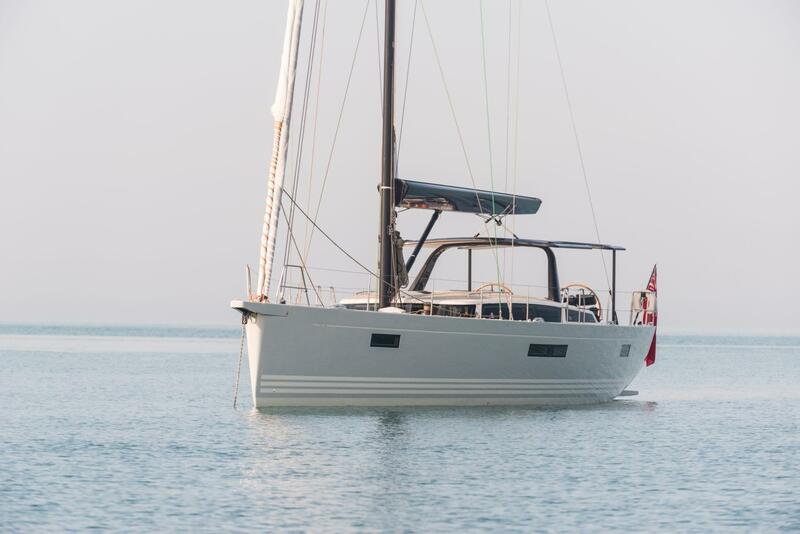 This listing is for a new build, built to order at the X-Yachts factory in Haderslev, Denmark. 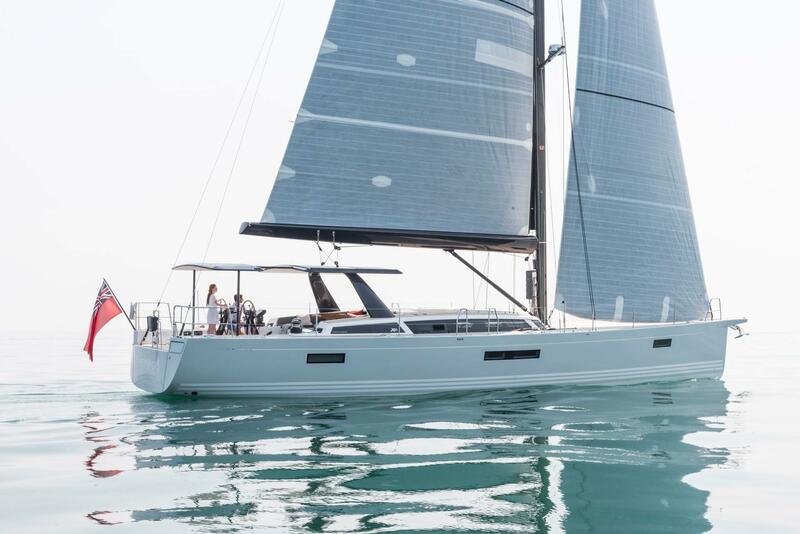 The X6.5 utilizes the same high-tech construction techniques as X-Yachts' latest generation of performance racer-cruisers. 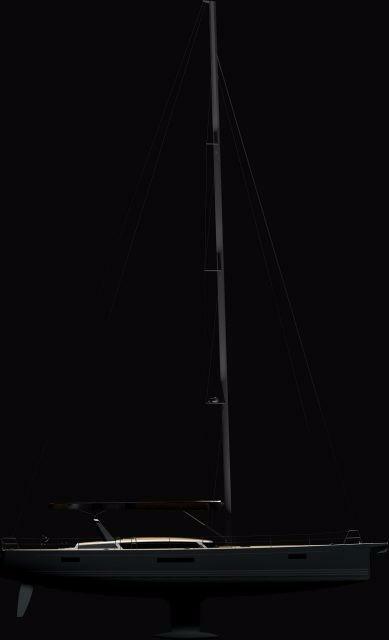 This includes vacuum-infused epoxy hull construction with localized carbon for strength, stiffness and stability. 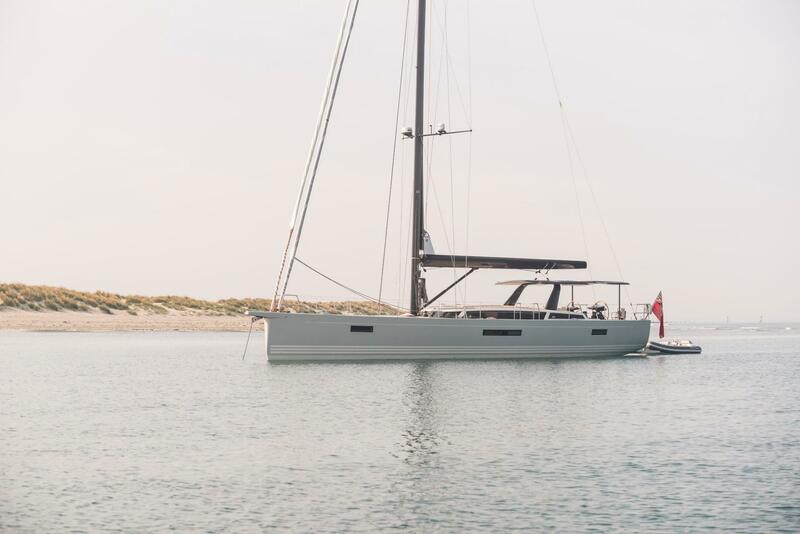 The X6.5 has also been designed with features from X-Yachts' award-winning XCruising family, including the keel steel frame that the builder is known for. 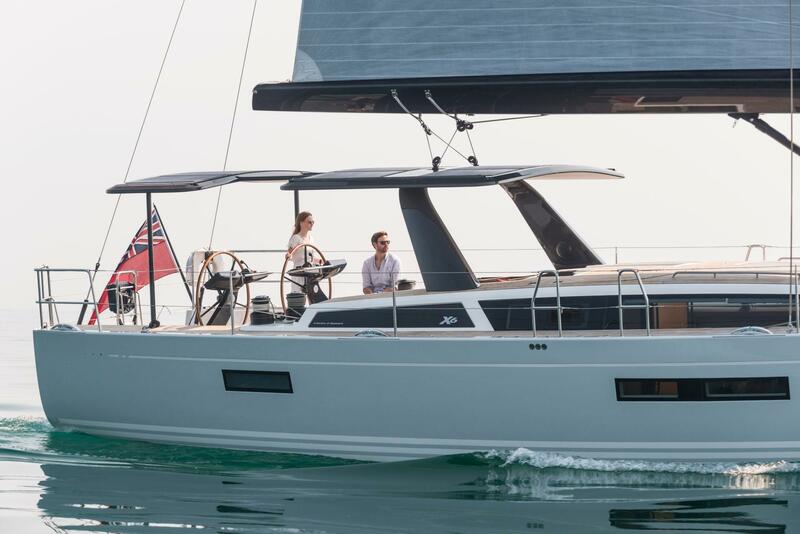 "The X6⁵ is a bold design: a muscular, small superyacht blessed with powerful lines; a yacht that will place most others of her size firmly in the shade." 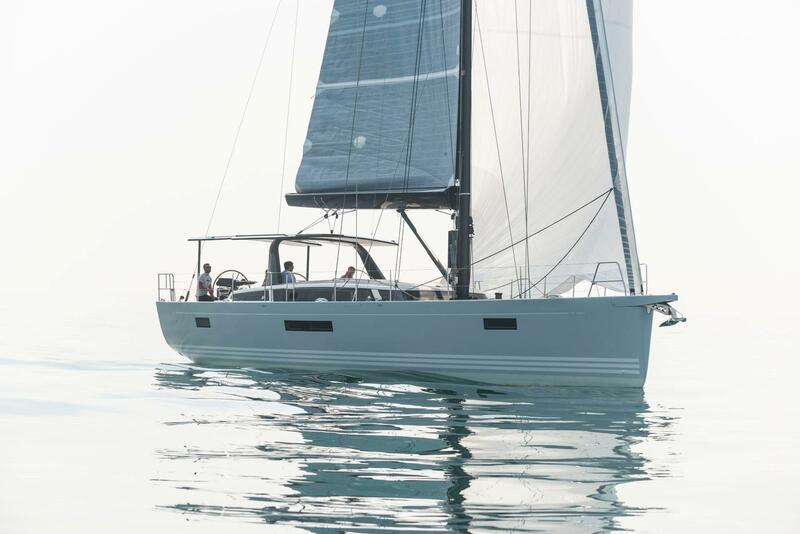 X-Yacht composite hulls are molded into female tooling. The X65 is built using the latest manufacturing technologies with a vacuum-infused, post-cured epoxy construction. 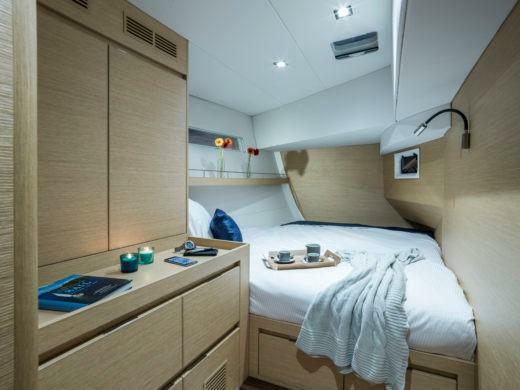 The hull is a full sandwich construction, using foam core, biaxial E-glass skins and local carbon-fibre reinforcements. 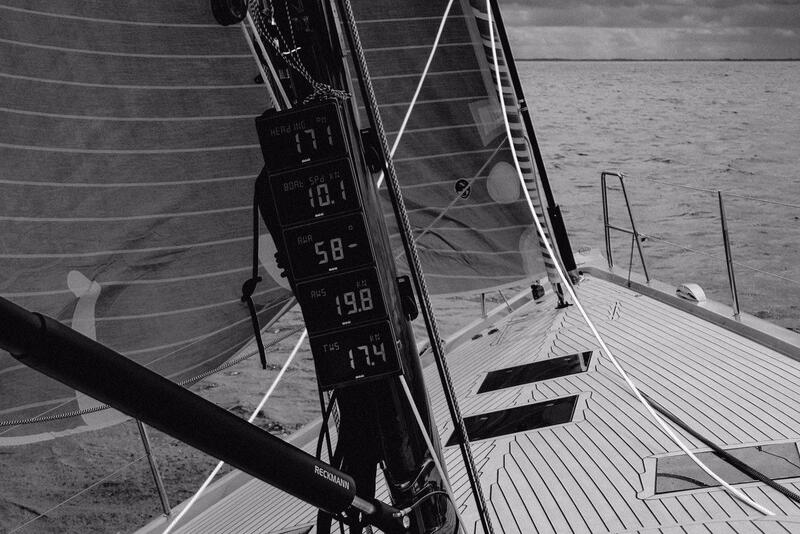 Solid, monolithic laminate is used in areas around the keel structure, stern gear, P-bracket and thrusters. High Density core is used in way of all seacocks. All structural bulkheads laminated to the hull and securely bonded to the deck. They are made out of a sandwich of marine plywood and PVC core in total thicknesses between 20 and 40 mm. This gives good soundproof properties and a lighter structure. The keel structure consists of a hot galvanized, high strength steel frame which forms an integral part of the hull structure. 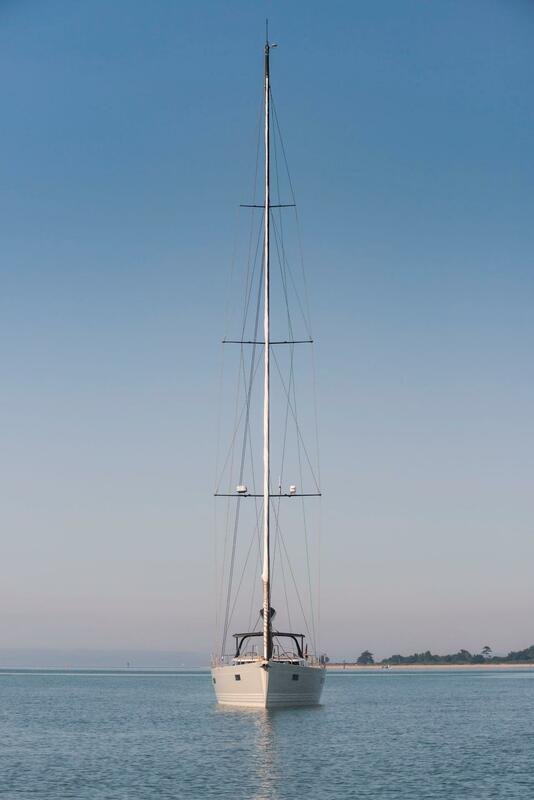 It is capable of absorbing loads from keel, mast and rig as well as shock loads in the event of grounding. 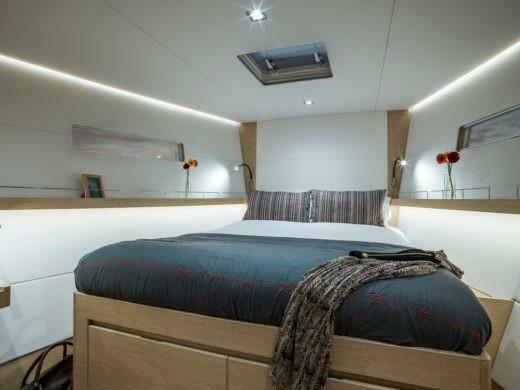 Integrated limber holes allow water to run to central keel bilge. 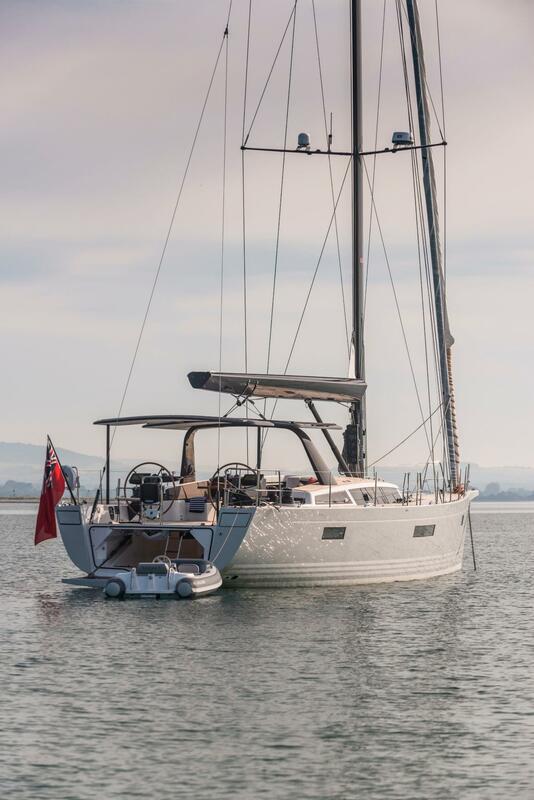 The standard keel is a 3.00 m (light ship) cast iron fin with a lead T-bulb. 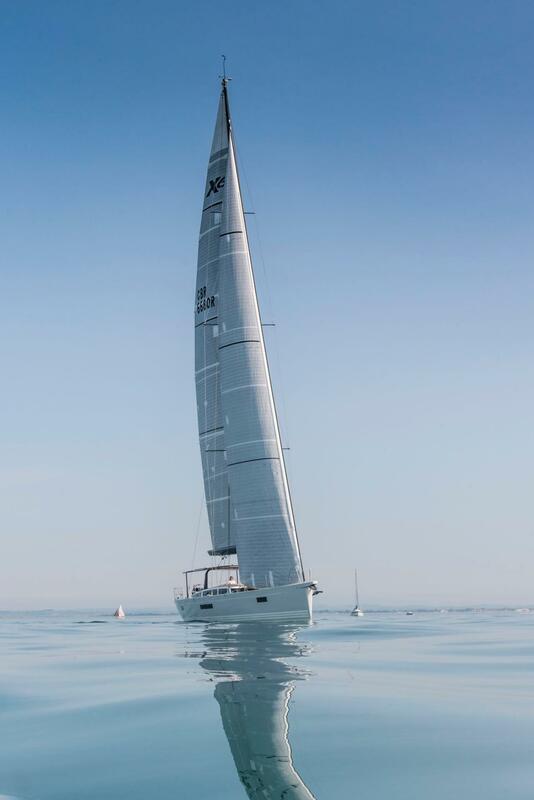 Ballast weight of the standard keel is approximately 9,450 kg (23,400 lbs), but an upgrade to 10,600 kg is also available. An optional deep draft T-bulb keel of 3.40m (light ship) and an optional shallow draft L-bulb keel of 2.60m (light ship) are also available. 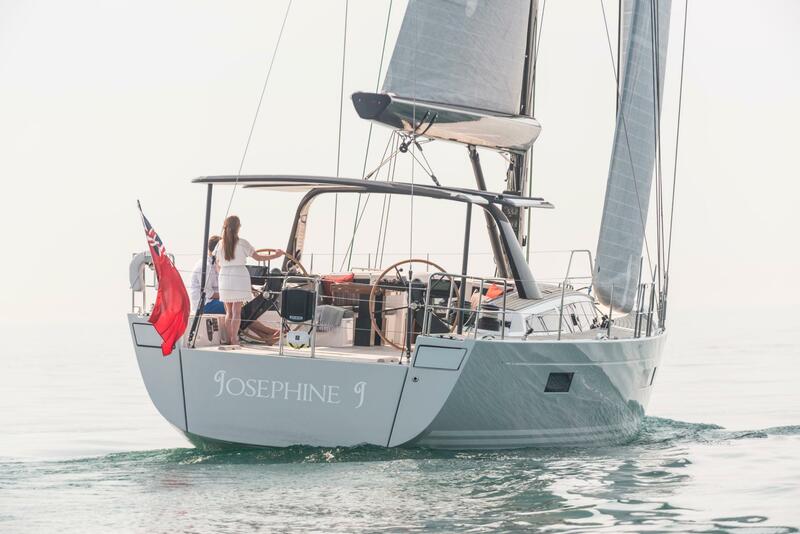 Each keel is encapsulated in three layers of GRP and faired to original keel section templates. The keel is securely bolted to the structural steel keel frame with stainless steel bolts and faired with epoxy filler. 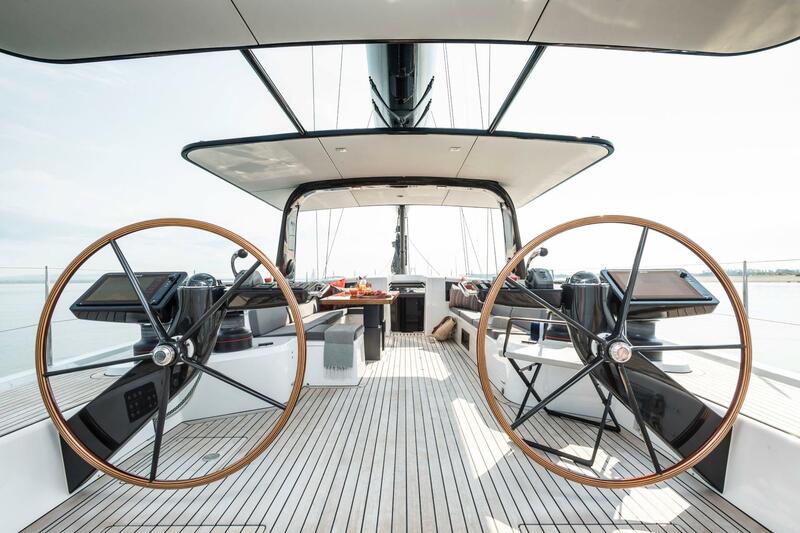 The X6⁵ provides her owner with a deck and rigging layout fit for a king. 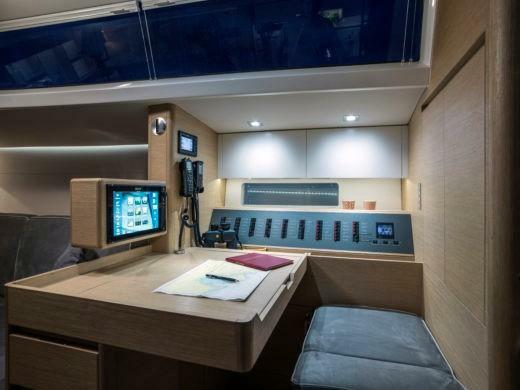 Halyards and control lines are led back to the aft cockpit coamings, making for a clutter-free environment. 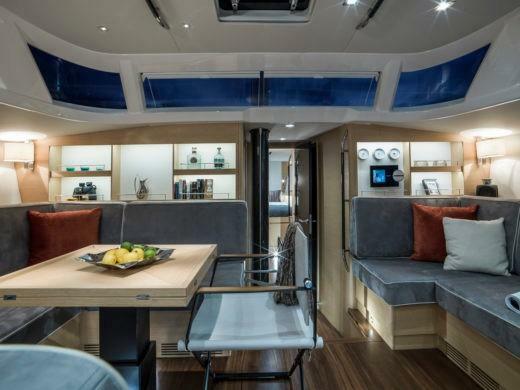 It is decked out with vacuum-applied teak on sidedecks, all seating, the cockpit sole, and the inside of the transom door/swim platform. Yanmar 6BY3-160, 6-cylinder, turbocharged diesel engine. Maximum power output is 117 kW (160 hp) at 2800 rpm. As standard, the engine is fitted with a 12V / 150A alternator for charging the engine start battery. An additional 24V / 90A alternator is also fitted for domestic battery charging. 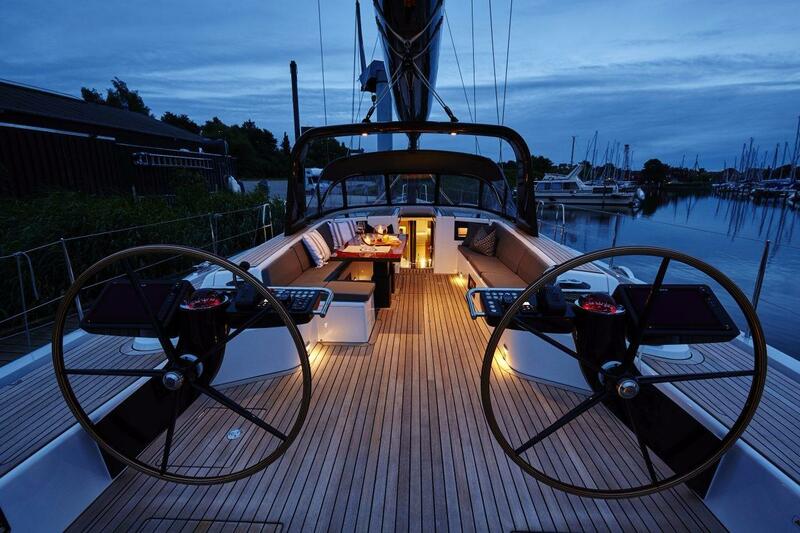 As standard a single electronic throttle control is mounted on starboard helm pedestal. Optional second throttle for port helm pedestal. Engine is mounted to the hull structure using vibration reducing shock mounts. The propeller shaft is coupled to the gearbox with an aqua drive to reduce vibrations. 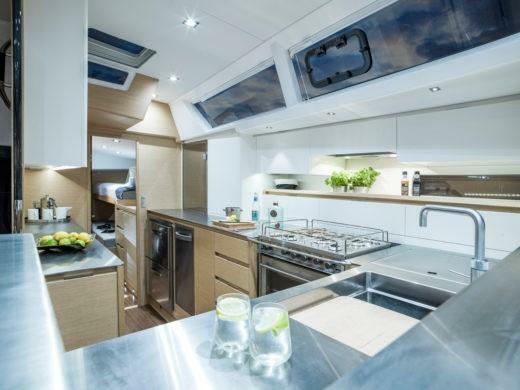 A ‘dry’ exhaust system is fitted as standard which includes a gas/water separator in the engine room. 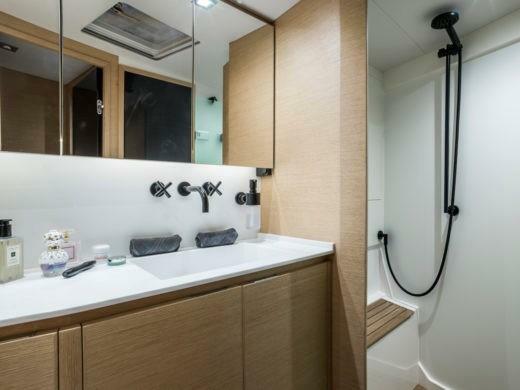 Danish design and architecture is famous for its clean and timeless style. 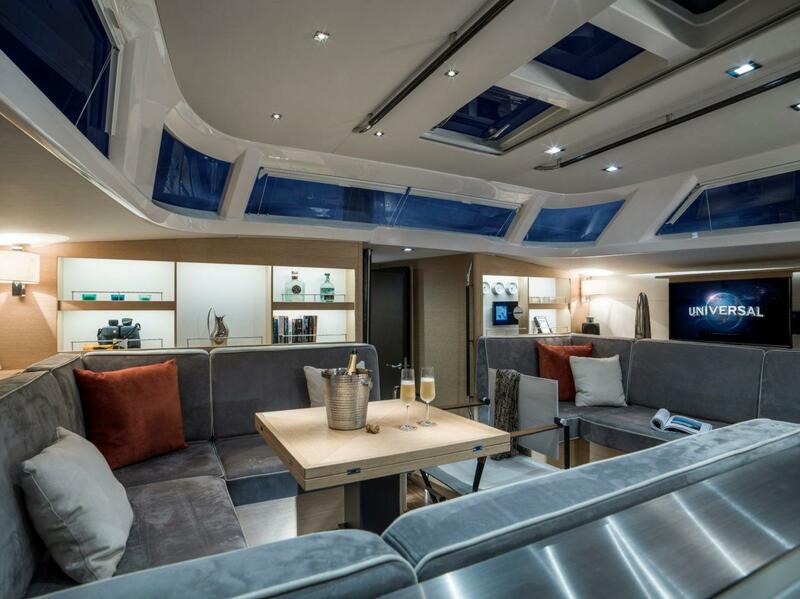 The X65 interior is designed to work at open sea as well as moored. 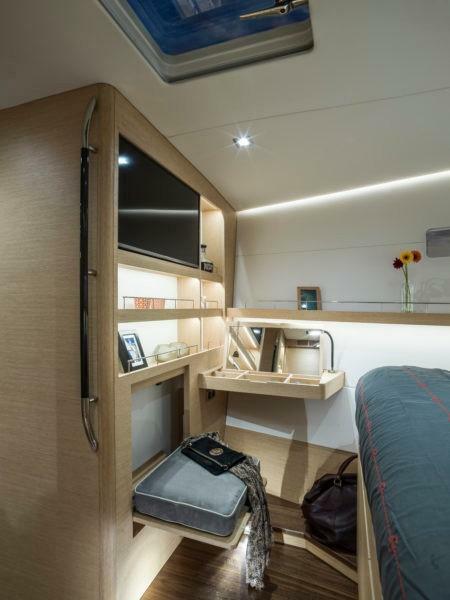 The utmost care has been taken to design the interior of the X65. 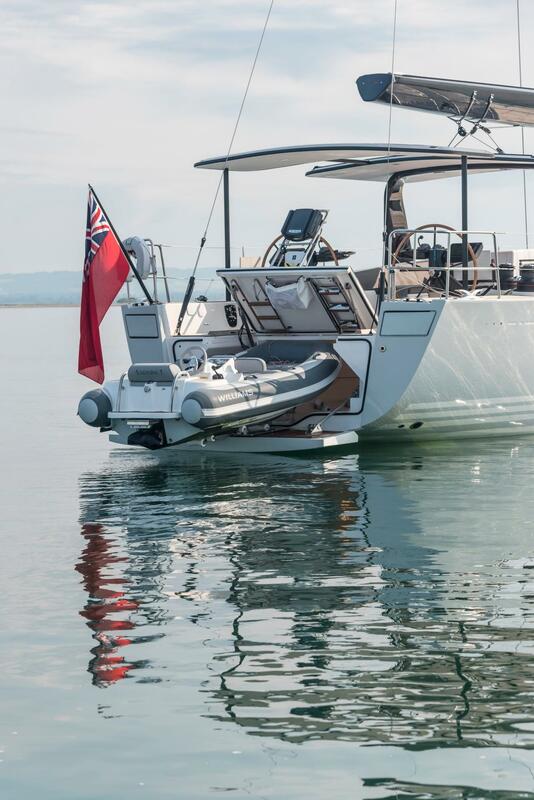 From the basic layout, to the smallest details, everything has been carefully chosen to ensure that the X65 is the perfect blue water cruising boat. All furniture is carefully selected, built with first class craftsmanship with minimum number of visible screws and hand-polished with a satin finish. To personalise the X65, a wide variety of interior surface finishes, materials and colours are offered. 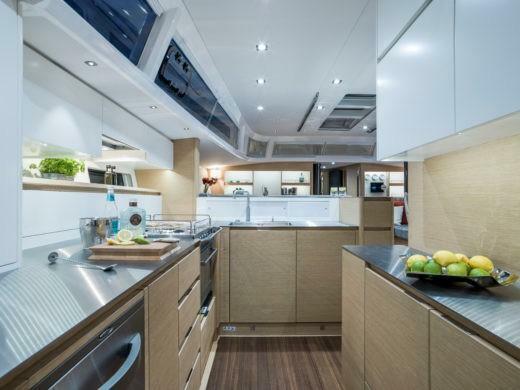 As standard, joinery and bulkhead are veneered in ‘Steady oak’ with areas such as the galley and heads finished with white paint. 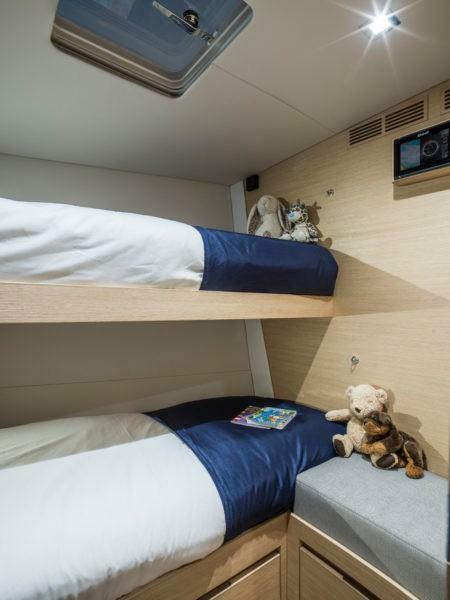 Head lining in saloon, galley and cabins is white vinyl covered panels with white painted panels in the heads. 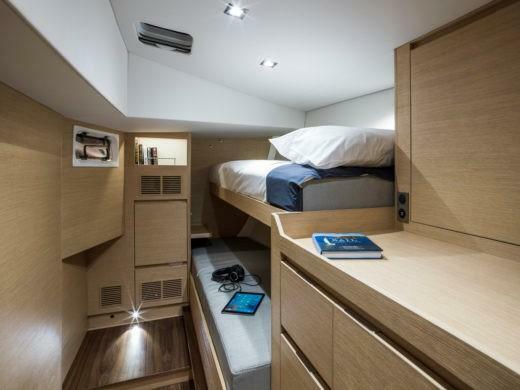 All hatches are fitted with Ocean air blinds and fly screens. Floorboards are constructed from foam cored sandwich, finished with a walnut veneer. Other floor board veneers are offered. (3) Layout options may be viewed in photos.